I feel so honoured to have been nominated twice this week for the Liebster award by two lovely bloggers, Naeema from The Jam Jar and Faeema from The Sparkling Labyrinth. It's fitting too as I realised this week that my blog is a year old! Whoo hoo!! 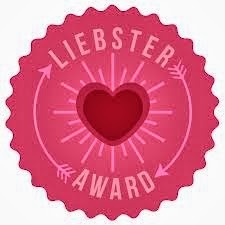 This Liebster award makes me feel as if readers and fellow bloggers actually enjoy reading my ramblings, so thank you once again ladies! 1. How often do you read other blogs? "At random times, but at least 3-4 times a week"
2. What is your favourite topic to blog about? "Fashion"
3. When do you usually write posts? 'In the mornings, when the kids have gone to school ;-D"
4. Your favourite social media platform? "Twitter!" 5. Recommend one blog that you personally love reading? "Lucky Loves"
6. Tag a fellow blogger who supported you in your journey as a newbie " Odette from O So Inspired"
7. What has been a highlight for you as a blogger? "Meeting so many lovely people along the way"
8. 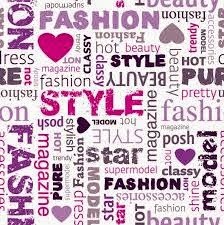 Describe your blog " Whilst my main topic is fashion, it includes so many other things that happen in my life. So I blog about things I do, love or find interesting"
9. What is your favourite book? " I love reading, so it would probably be one of my most current reads which left an impression. That would be the historical novel, The Kingmakers daughter, by Philippa Gregory." 10. Do you have any pets? " Yes, a cat called Twinkles"
1.While you are writing a blog post, which position is most comfortable? "Sitting up, with the Macbook on my lap :-D"
2. What do you listen to while blogging? "Usually TV news for background noise"
3. Which beauty item is your holy grail? "Elizabeth Arden, 8 hour Face Sunscreen"
4. What's your favourite tv show? "Currently CSI and Fringe"
5. If you had to pick between a muffin and a cupcake, which one would you take? "Neither, I enjoy savouries, unless I could choose a savoury cheese muffin?" 7. If you could be any Disney character, which one would you be? and Why? "Ariel, The Little Mermaid. Because she made a huge sacrifice for love... I would sacrifice anything for my loved ones. I suppose that's the mom in me lol"
8. Horror? Comedy? Action? Thriller? Romcom? "Hands down HORROR!!! Although my husband aka movie partner would disagree." 9. Fill in the missing words: I would rather "hunt down a lion" than "eat oats! Eeeww "
10. If you could have anything made in your honour, what would it be? and Why? "Shoes! Do I need to explain how much I love shoes? Really?" "SHOES MAKE ME HAPPY. I'M SUPERFICIAL. WHATEVER"
Do you have a bucket list? If so, name one thing on your bucket list. Would you leave home without makeup? What is your all time favourite movie? What do you do to relax before bedtime? Your favourite item in your closet at the moment? Hehe... It's only because I use mine so seldom that I barely missed it for a year when my sister borrowed it!